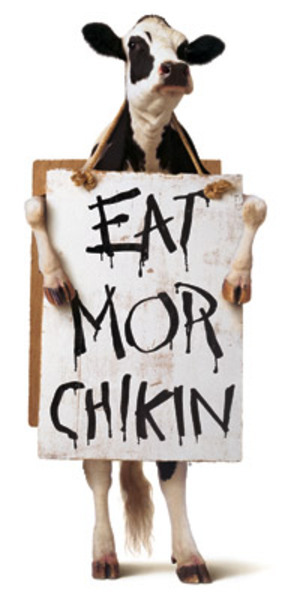 Chick-fil-A is among only a handful of large American companies with conservative religion built into its corporate ethos. But recently its ethos has run smack into the gay rights movement. A Pennsylvania outlet’s sponsorship of a February marriage seminar by one of that state’s most outspoken groups against homosexuality lit up gay blogs around the country. Students at some universities have also begun trying to get the chain removed from campuses. “If you’re eating Chick-fil-A, you’re eating anti-gay,” one headline read. Look, dude, I’m a Bible-thumping Christian. Homosexuality is a sin. End of story. . . .
Get over yourself. Live your life. Stop trying to find reasons to tell us how hard you have it. It’s boring. Better yet, if you’re going to get angry over every business run by traditionalist Christians, you should also boycott Domino’s Pizza (founder Tom Monaghan is a hard-core Catholic) and Little Debbies (produced by the McKee family of Collegedale, Tenn., who are hard-core Seventh-Day Adventists).